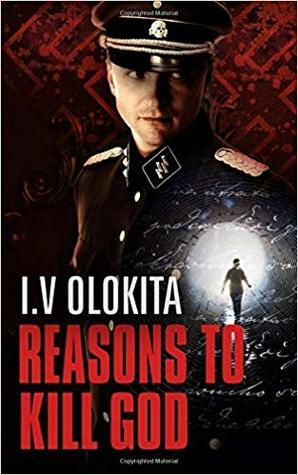 Having grown up in Israel, I was drawn to this book by the subject matter of Nazi war criminals, especially considering the author and unique point-of-view used. The story is told by a Nazi war criminal, Klaus Holland, hiding in Brazil post WW2. When he’s found out and sent to trial, he’s sentenced to recounting his life’s story. The novel is therefore is autobiography, written hastily in the hours before his execution, and covers some major episodes before, during, and after the war, as well as the life of his son for whom Holland implicitly addresses his writing. This is a book to make you think. The protagonist is of the worst specimens that humanity has ever produced, and sees no wrong in his actions in life. By telling the story from this view point, Olokita will challenge you to consider morality, and the transitions from everyday human life to the worst horrors of war and genocide. Olokita nails Holland’s point of view, in a way that makes you curious to keep reading and follow his story, despite the occasionally meandering and often horrifying events he describes. The narrator is omniscient, or at least tried to present himself that way. The point-of-view is first person when he tells of his experiences, and shift to third person when he accounts for events where he was not present (though he’s still very much the narrator). It makes a very interesting literary device, as the novel keeps in Holland’s voice throughout, but some readers may find it confusing. A bigger point, for me at least, is that the plot feels meandering around the middle. There is somewhat less coherence, with some unclear points and the pace is erratic. Since the author gives little reference points, time feels a bit fluid in how quick or slow it passes between events. This occasionally gives the impression that the author is striving to reach his point quickly, with less regard to rigorous plotting or secondary-characters’ arcs. A minor note, this is a translation from Hebrew. Some English constructs feel too cumbersome, which is probably an artefact of the translation. Considering that anyone reading this novel won’t be doing it for any mass-market entertainment value, I doubt this would stand in the way. This is a very interesting novel. If you like literary fiction, of the kind that challenges your beliefs and makes you think, read it. Stick with it to the end, think of the protagonist, and think about what Olokita is saying. Remember that this isn’t escapist fantasy, but far too uncomfortable description of the lows of human condition. It might make you evaluate life and literature differently.